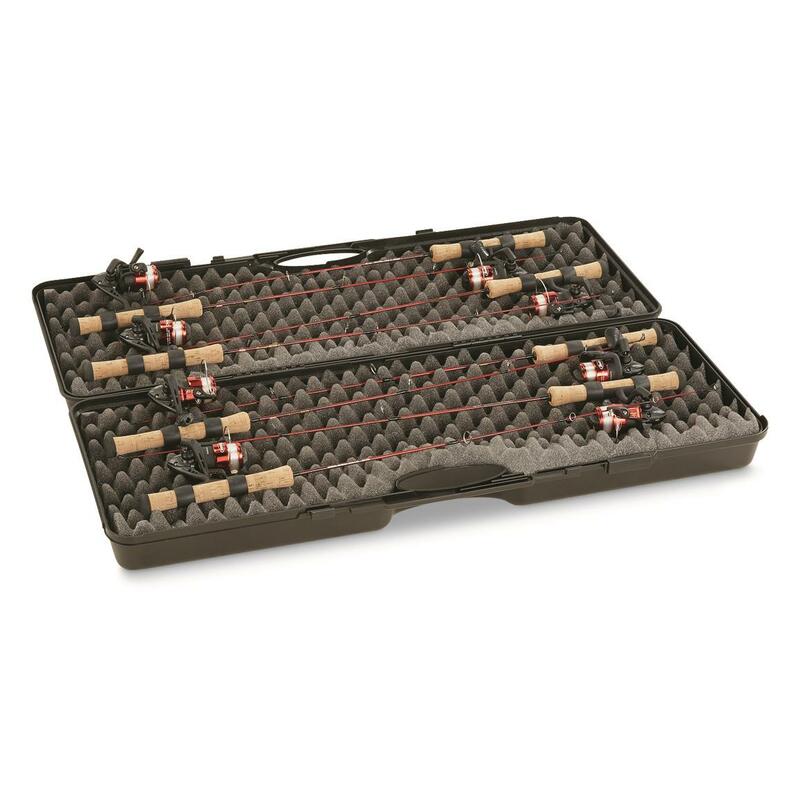 Get serious protection for your ice fishing combos with this Guide Gear® safe storage Ice Rod Case. Extremely strong on the outside. Soft, but firm foam padding on the inside. Lightweight design for easy transport. It's the perfect choice to safeguard your prized fishing equipment. Interior Dimension: 34"l. x 11"w. x 5"d.
Exterior dimensions: 34"l. x 13"w. x 5"d.
Guide Gear Ice Rod Case is rated 4.3 out of 5 by 6. Rated 5 out of 5 by tinaLou from Pool Cue Case I am using this as a Pool Cue Case to store my cue's when not in use. Rated 5 out of 5 by JimF from Great price Many rod lockers were more then double the price then this one but I got a great product for a great price. I would recommend them to anyone! Rated 4 out of 5 by Opie11 from Good product This case will do the job to protect your rods and fishing equipment. The foam is loose and I will probably glue or tape it to the outside of the case so it doesn't fall out every time it's opened. Rated 3 out of 5 by fisherman1 from What prevents the rods and reels from moving out of the foam rubber when you have to close the box?